The new German Secret Service head Thomas Haldenwang announced he will "evaluate" whether to observe the pro-Israel AfD, which has been charged with racism, xenophobia and anti-Semitism. The Secret Service ignores overt anti-Semitism. 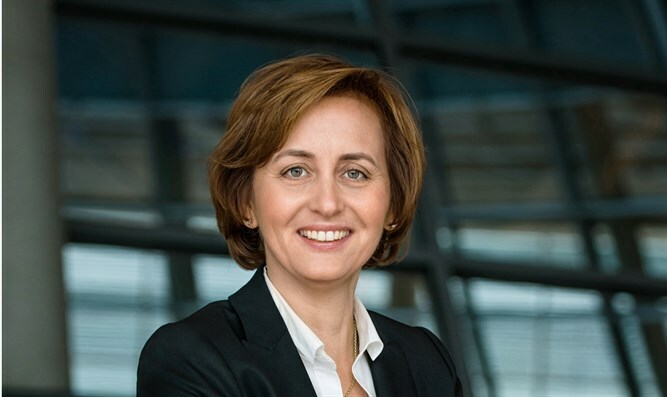 Beatrix von Storch is co-chair of the AfD faction in the German Bundestag. As a former member of the EU Parliament, she co-founded the Friends of Judea and Samaria, a lobby to fight pro-BDS legislation. I have no idea what the report says about me, because it has not been released to the AfD. However, according to the left-leaning Tagesspiegel newspaper, the report quotes me as saying: "Hate is being preached in mosques against our system of government, against Jews and Christians. Mosques need to be observed by the Secret Service." I was referring here to an exposé on Muslim hate preachers published by a journalist from the not very AfD-friendly public broadcaster WDR, Constantin Schreiber, in his book "Inside Islam". Schreiber toured mosques all over Germany and found that preaching hate against Jews and Christians is commonplace. He quotes Secret Service experts who say that happens in almost all mosques, and that the Secret Service therefore has to concentrate only on the most radical mosques. This comes at a time when Jews in Germany are suffering more and more attacks by Muslims. Because of Muslim anti-Semitism, Jews in Germany are scared to wear their yarmulkes in public. Faced with these threats, I was appealing to the Secret Service to do something about anti-democratic sermons and calls to hate against Christians and Jews in mosques. And what does the new head of the Secret Service Haldenwang do? He terms my calls for him to do his job unconstitutional and anti-democratic, and threatens to put me under surveillance. If it weren't so tragic, it would almost be funny. Unfortunately, what we are seeing is that the German government is using the secret service to combat their political opponents rather than to fight radical Islamism and anti-Semitism. 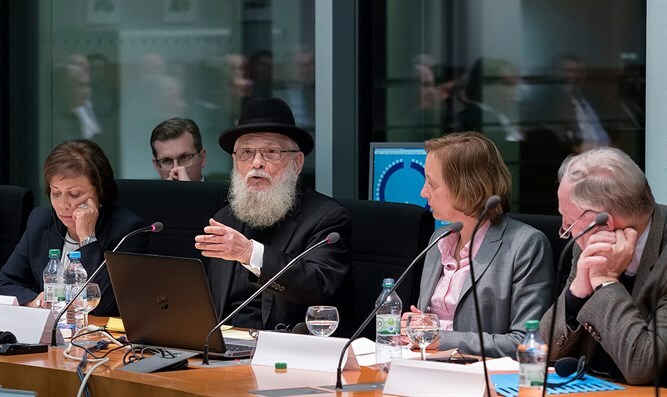 A year ago, in January 2018, the Bundestag solemnly passed a resolution on anti-Semitism, stating that proven anti-Semitism should lead to expedited extradition for foreigners living in Germany. However, when I filed an official inquiry to the German government recently, it turned out that there was not a single instance of an anti-Semitic foreigner being extradited. The political misuse of the Secret Service regarding Islamic extremism and terror prevention makes it difficult to avert attacks like at the Berlin Christmas Market 2016, which also cost the life of Israeli resident Dalia Elyakim, a mother of two from Herzliya, and left her husband Rami seriously injured, and eleven others dead. If you make it illegal to speak about a problem, you make it impossible to do anything about the problem. The panel of inquiry into the Christmas Market attack found that the existing level of surveillance of these radical Islamic mosques is inadequate. The authorities were aware of the extremist preaching at terrorist Anis Amri's Fussilet mosque, but one lone informant in the mosque was not enough to stop the attack. Instead of investigating the real threat to Western civilization and European democracy, the German secret service is letting itself be instrumentalized politically to attack the only party that is actively fighting against radical Islamism and anti-Semtism; the only party that criticizes German and EU funding for UNRWA and BDS-related NGOs; the only party to actively and vocally stand up for the rights and safety of Jews in Germany, and our friends in Israel. Petr Bystron, seen in the video, is the Speaker of the Alternative for Germany party (AfD) on the Foreign Policy Committee of the German Bundestag. He came to Germany in 1988 as a political refugee and joined the Euro-critical AfD in 2013. He was chair of the AfD for the State of Bavaria 2015-2018. Under his leadership the party reached the best tally of all states in West Germany in the federal elections 2017. He is a leading political publicist who has won several prizes for his writing and edited a book for University of Geneva with Polish Nobel Peace Prize winner Lech Wałęsa. He is currently one of the 10 most popular German politicians on social media.